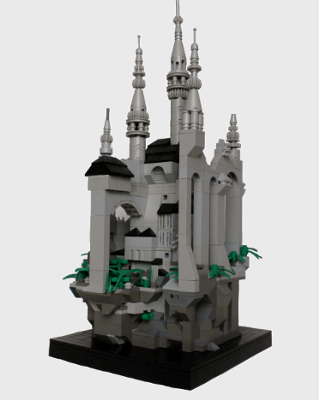 This little treat was posted for Classic-Castle‘s Microscale Castle Contest by Toltomeja. The presentation on this is quite lovely. All of the focus is on the castle, foregoing the need for landscaping. It just works for this build!